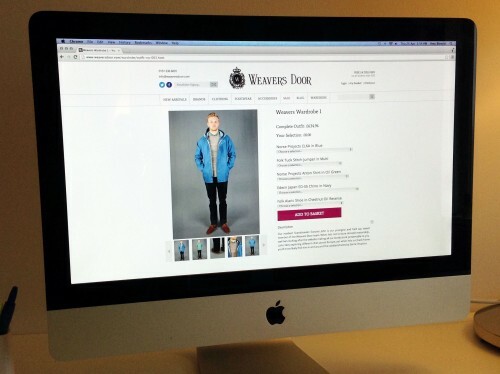 igoo Magento clients, Weavers Door, have recently added a ‘wardrobe’ feature to their site, allowing customers to purchase products as a bundle and to buy ‘a look,’ as modelled by staff members and friends. With a varying range of outfits and pieces to choose from, customers can select individual products that catch their eye or purchase the whole outfit, easily accessible through a simple drop down menu. The wardrobe feature also includes models’ full measurements, ensuring customers have a real representation of the fit, and a full description detailing models’ favourite hang outs and hobbies, adding a personal touch to the site.